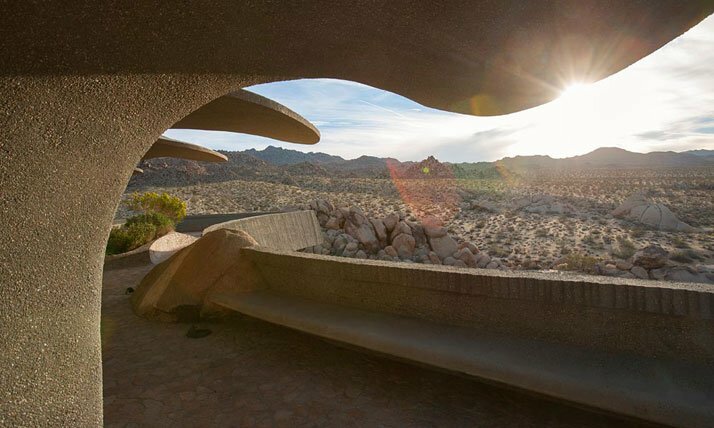 Photo by Lance Gerber / Nuvue Interactive. 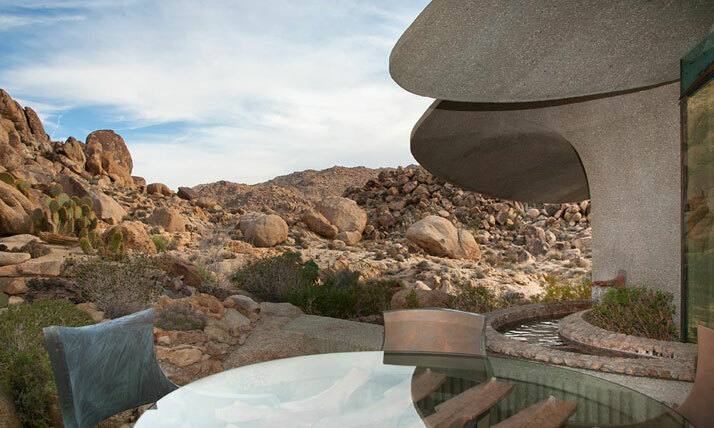 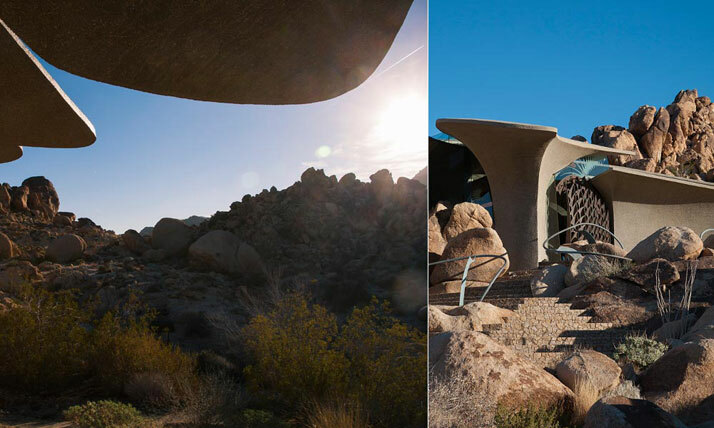 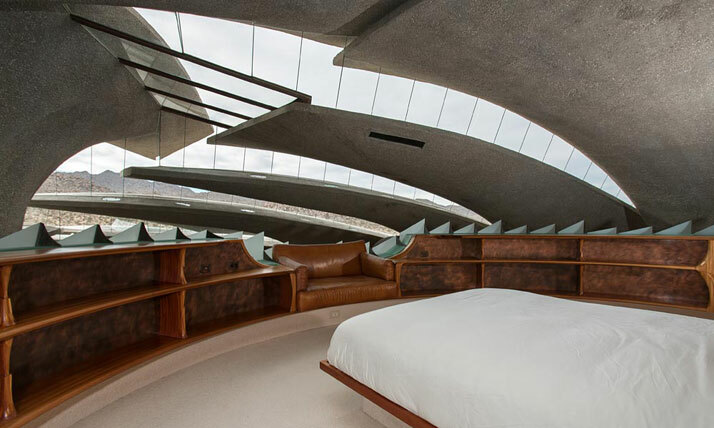 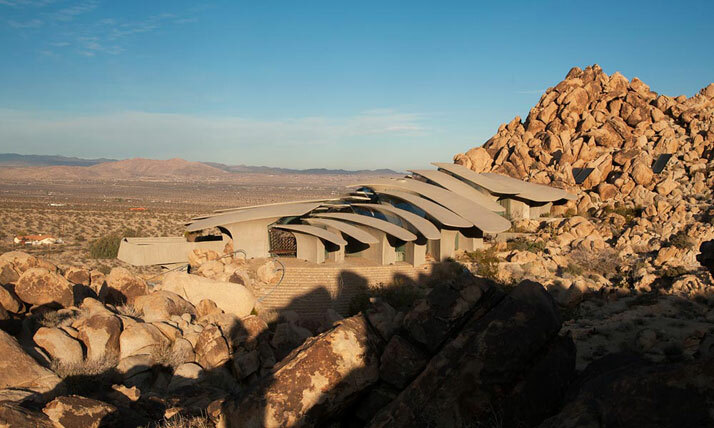 Perched on the slope of a rocky hill in the Californian desert, not far from Joshua Tree National Park, the Desert House by American architect Kendrick Bangs Kellogg is hard to categorise. 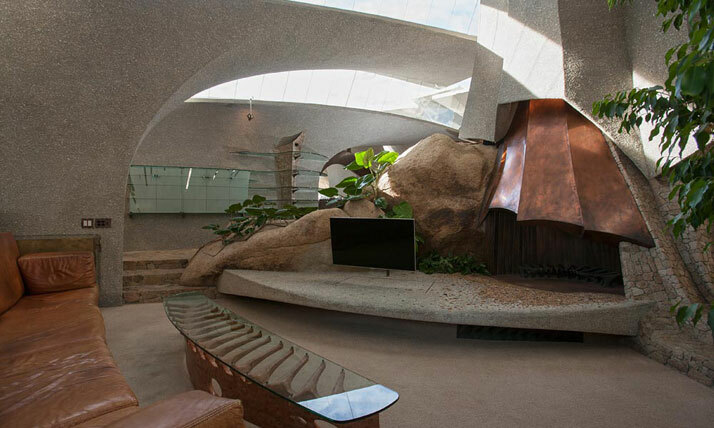 Its impressive exterior form which is impeccably composed and sophisticatedly embedded within its natural surroundings consists of numerous cast-concrete slabs, which seem to cover the interior like the foliage of an otherworldly tree. 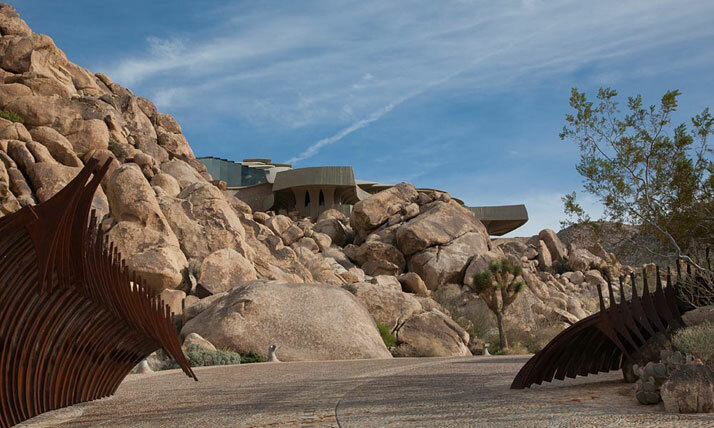 Completed in the early 2000‘s after over a decade in the making, the house was commissioned by artist Bev Doolittle and her husband, who were fascinated by Kellogg’s unique aesthetic and gave him a carte blanche for the project. 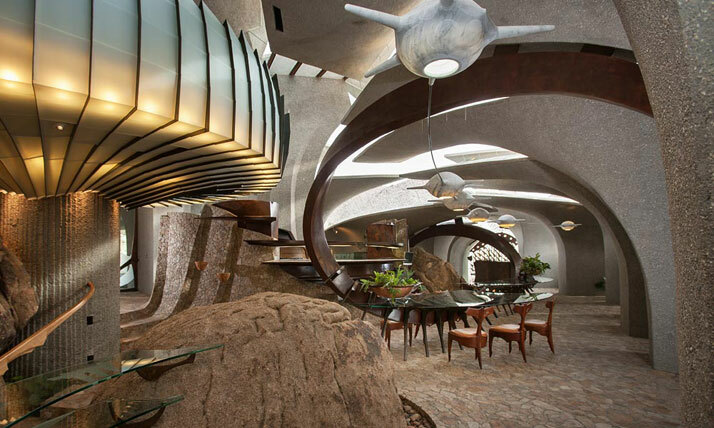 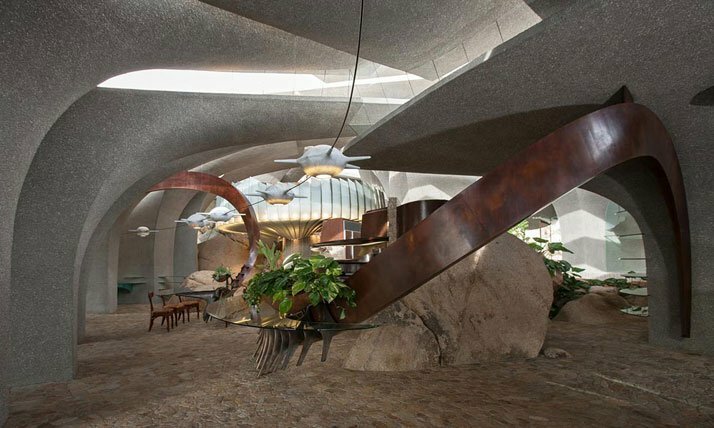 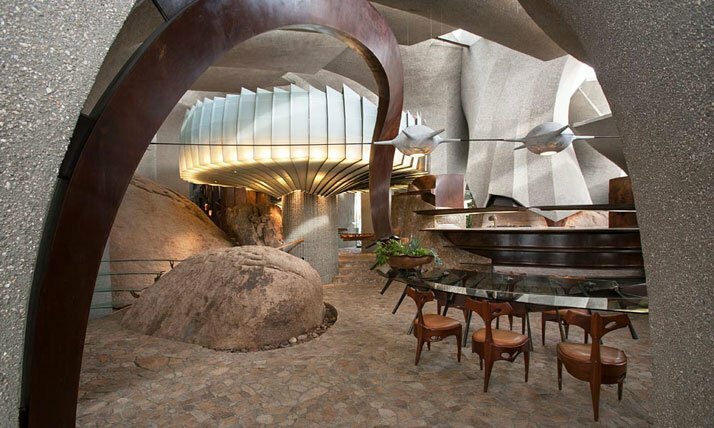 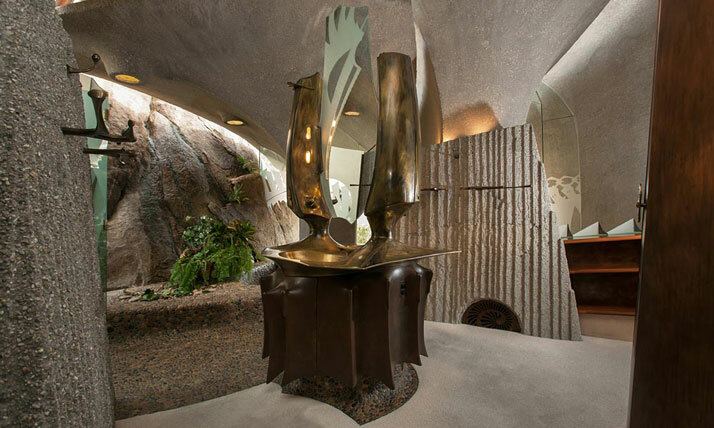 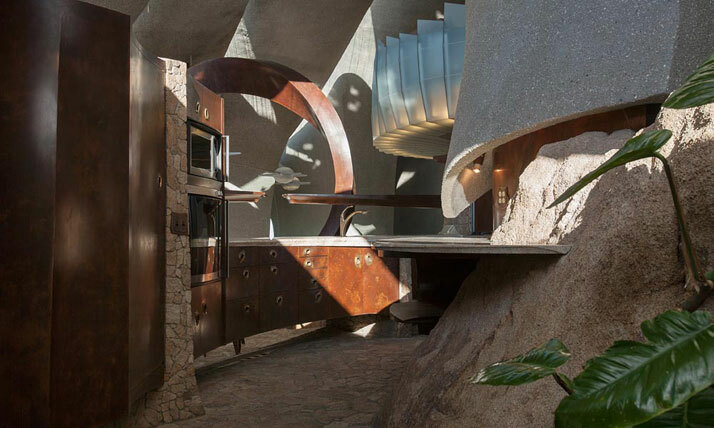 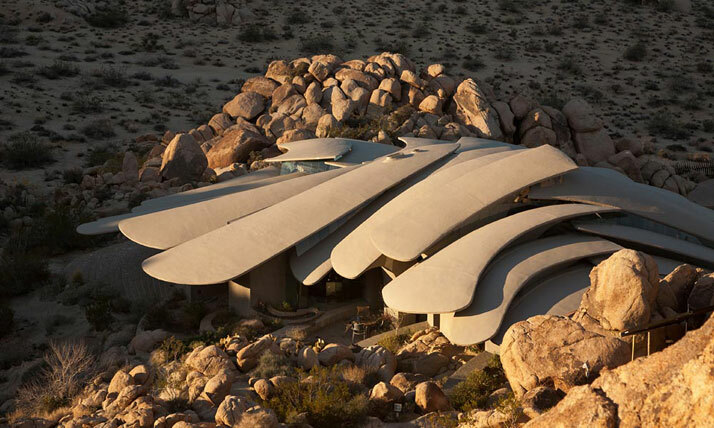 Born in 1934, Kellogg is considered one of the pioneers of organic architecture in the USA; his idiosyncratic style has been expressed for the most part in private projects, examples being the striking Hoshino Wedding Chapel in Karuizawa, Japan, and the Yen House in La Jolla, California. 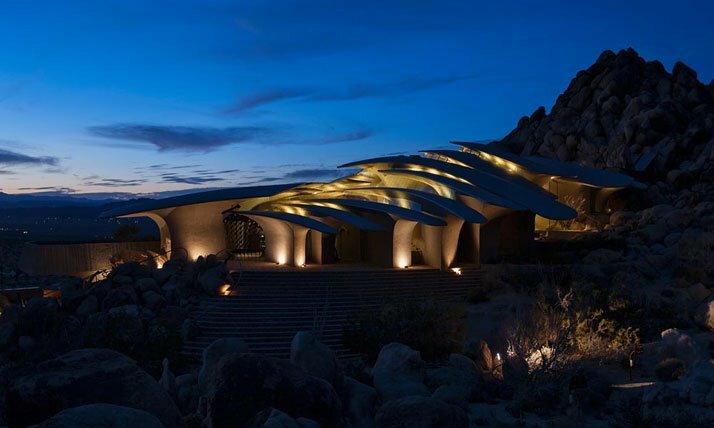 For the creation of the Desert House, Kellogg brought his long-term collaborator, designer John Vurgin on board, who then set about designing and building pretty much everything in the house (even the fence which surrounds the property is custom-made with spiky iron elements that look like fishbone structures). 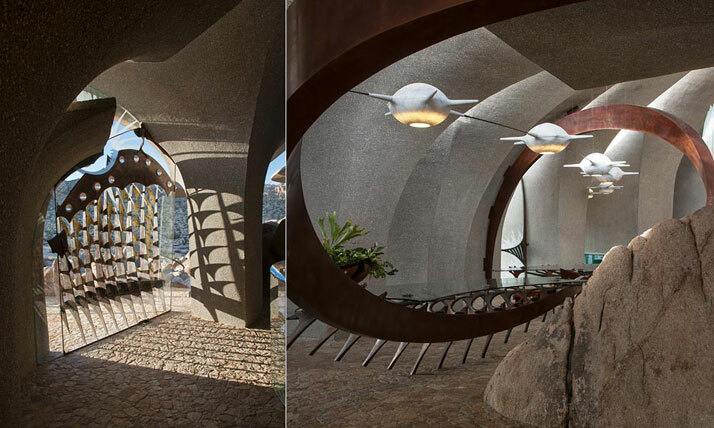 It took Vurgin almost a decade to create the interiors and other elements of the house, but the wait was worthwhile: with incredible features such as the parasol installed in the dining room made of no less than 800 pieces of sandblasted glass, while in the master bedroom a self-standing bronze washing basin was given an organic yet alien form that would make even Antoni Gaudí jealous. 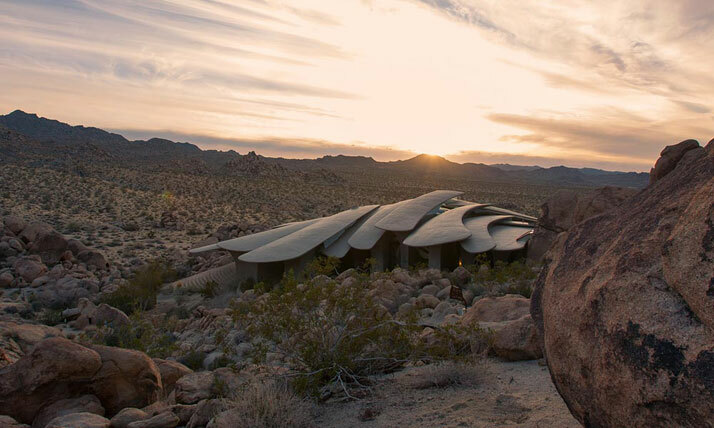 More meticulously crafted artwork than residence, it wouldn’t surprise us if Desert House soon becomes part of a wealthy architecture enthusiast’s collection, or even a museum open to visitors. 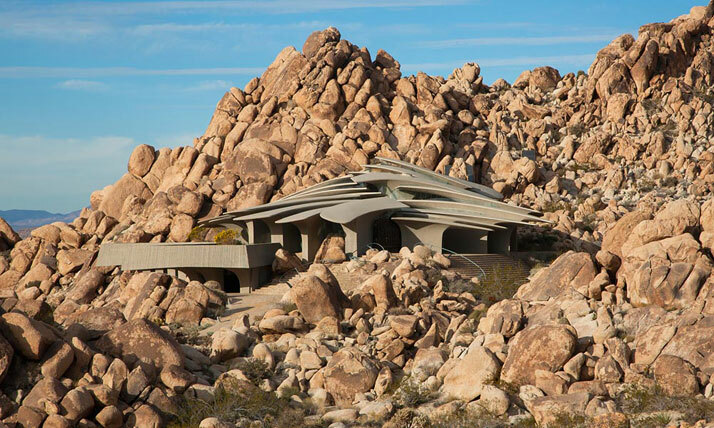 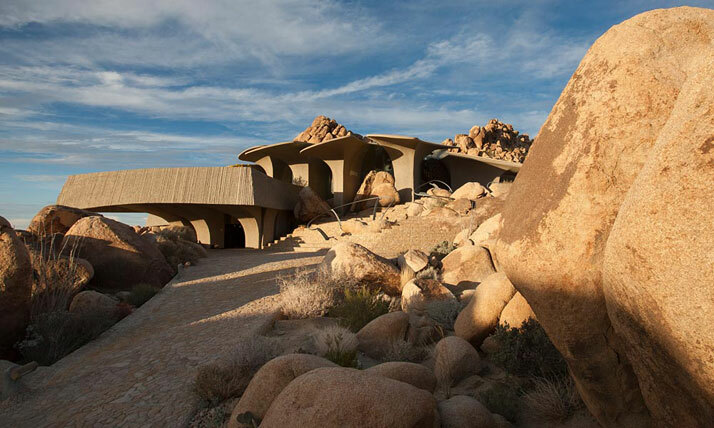 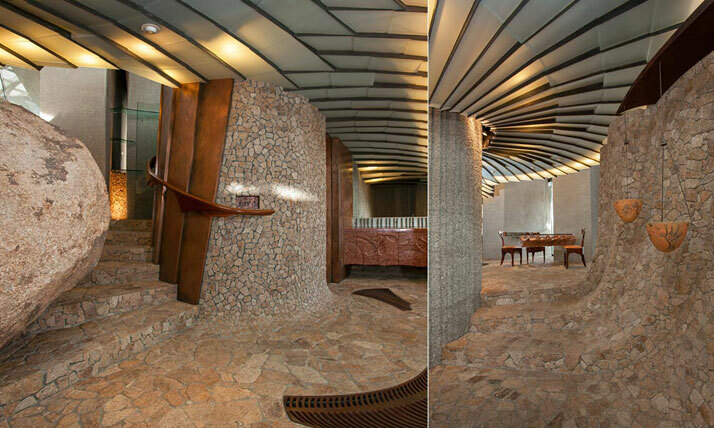 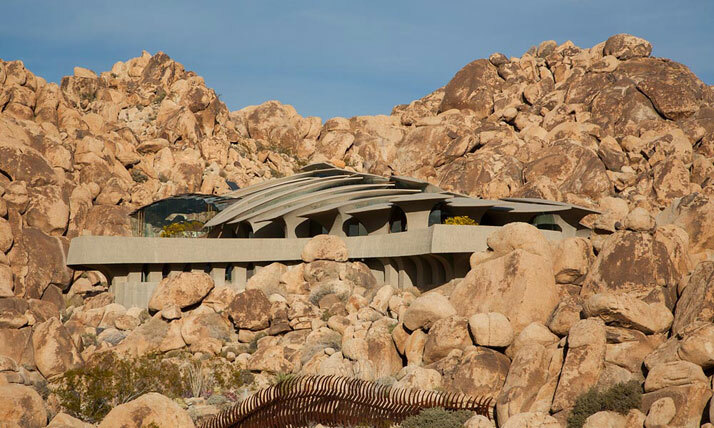 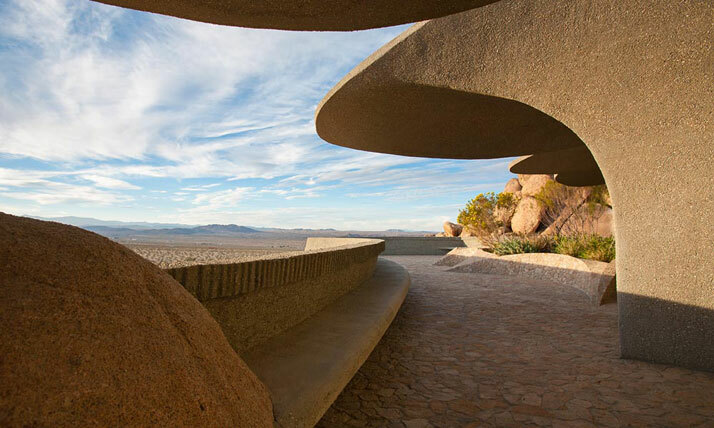 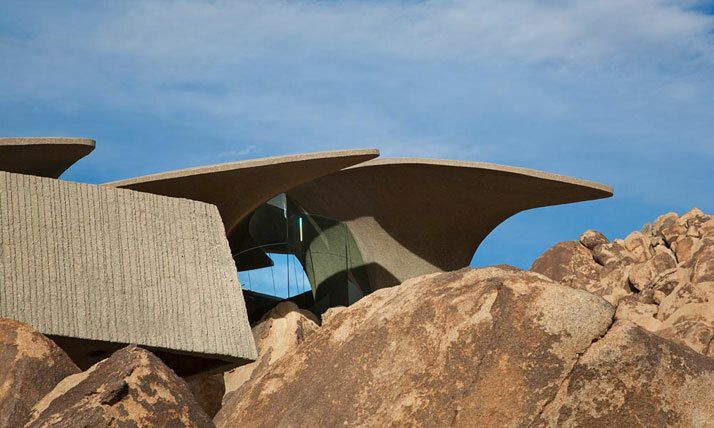 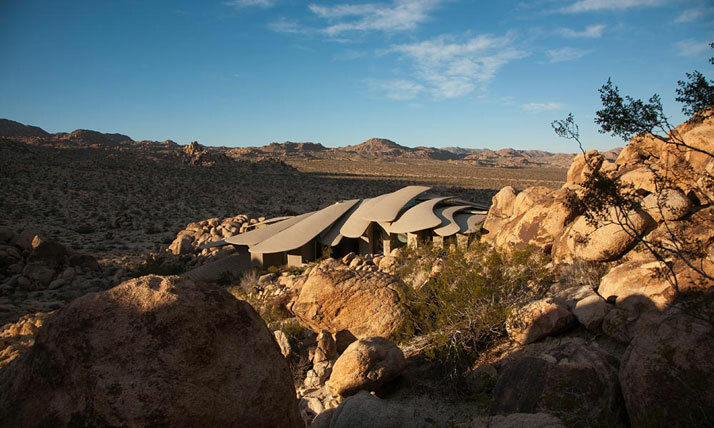 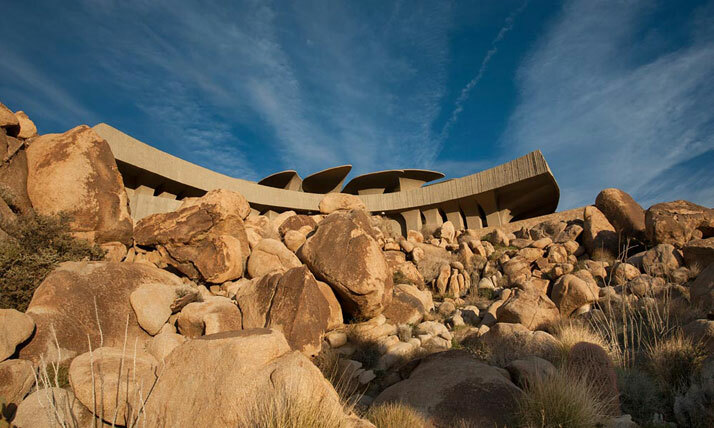 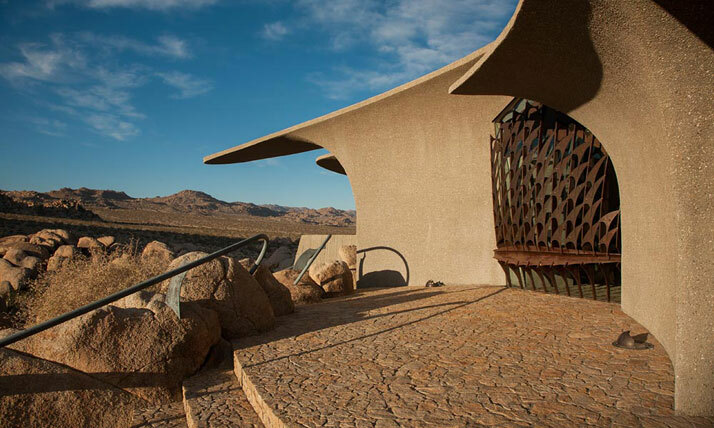 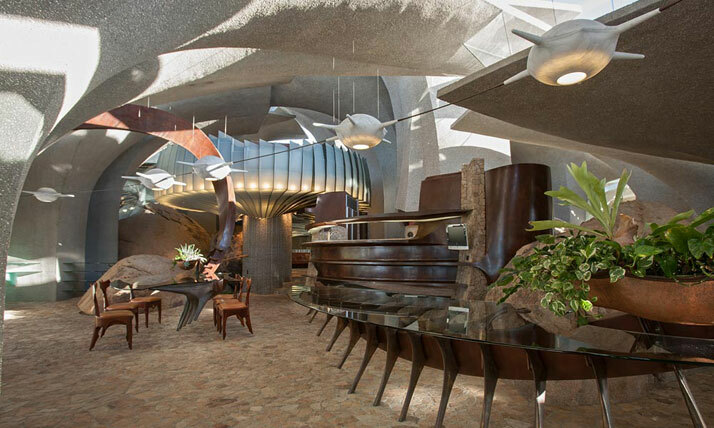 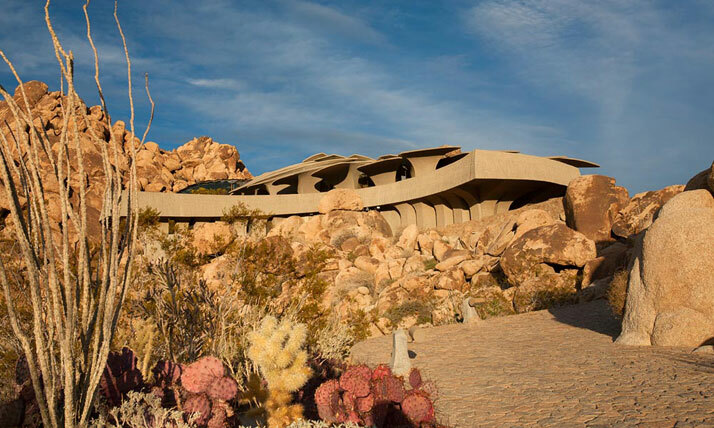 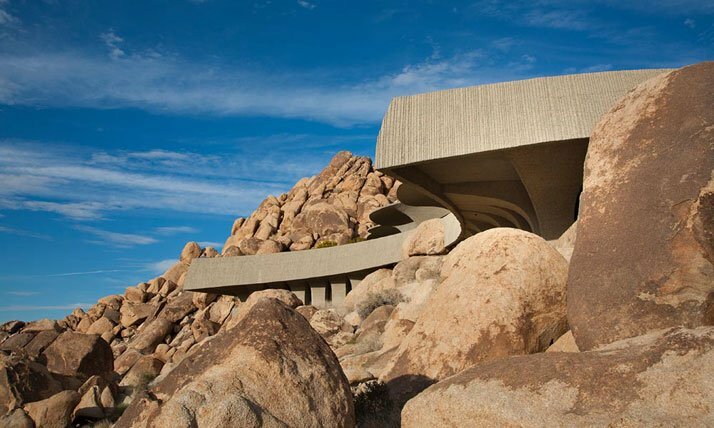 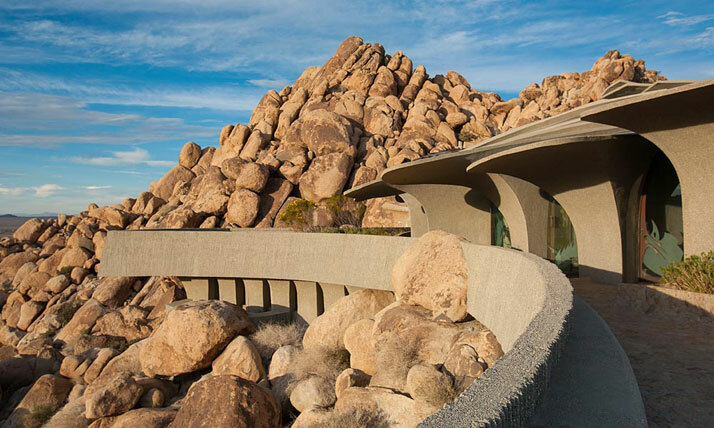 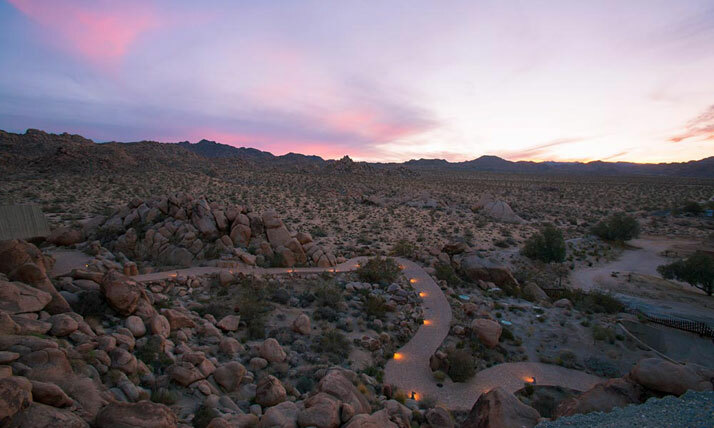 The Desert House by Kendrick Bangs Kellogg, is priced at $3 million // more details at TTK Represents. 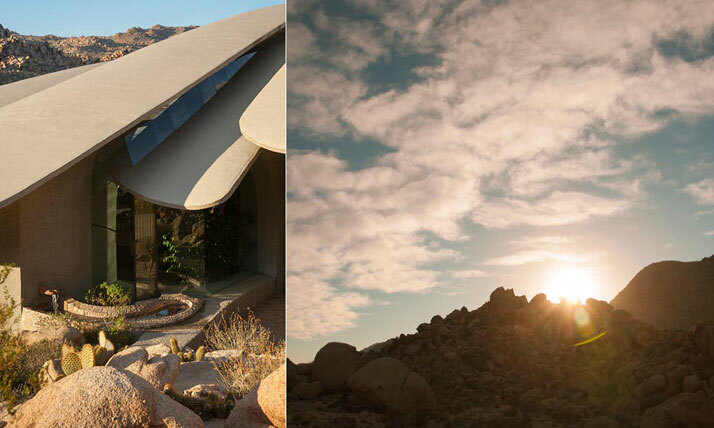 [YatzerTip} : For more Californian desert imagery and inspiration check out our article on the art installation Lucid Stead by American visual artist Phillip K. Smith III.